Yesterday a bill to repeal Arkansas’ death penalty, sponsored by Senator David Burnett, passed through the Senate Judiciary Committee by a voice vote with no audible “nays.” The Arkansas Senate Judiciary Committee is composed of four Democrats and four Republicans. Burnett himself prosecuted five death cases and served as a judge on five more. One of those was the West Memphis Three case, in which Damien Echols was sentenced to death. Echols and two co-defendants eventually were released from prison after strong evidence of their innocence came to light. Burnett said the death penalty doesn’t do anything to prevent murder or capital crime. “I think the time has come for us to reconsider the death penalty as a form of punishment.” Burnett’s bill, SB 298, would make sentencing options for a capital crime life in prison or life in prison without parole. 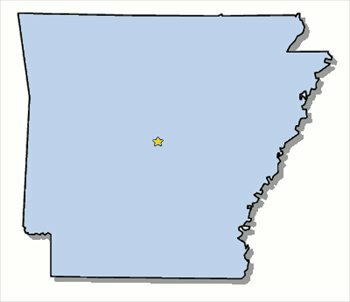 Though it is unlikely that a repeal bill will pass through the Arkansas legislature, this news is encouraging for us in Tennessee and provides further evidence that leaders on both sides of the aisle are increasingly willing to express their concerns about taxpayer dollars propping up a failing system. Here in Tennessee, Tennessee Conservatives Concerned about the Death Penalty (TCCATDP) is making its debut at Justice Day on the Hill on March 4, bringing more Tennessee conservatives to the table to talk about this broken policy. If you would like to be a part of Justice Day on the Hill, register here and join us as we lay the groundwork for Tennessee to become the next Southern state to get a repeal bill through committee. Fairly, there are numerous aspects you would like to think about medications. All discount medicaments save money, but few online drugstores offer better deals than other online drugstores. There isnвЂ™t anything you canвЂ™t order online anymore. Remedies like Deltasone ordinarily is used to treat diseases such as eye problems. Glucocorticoids naturally occurring steroids, which are easily absorbed from the gastrointestinal tract. There are varied drugs for every conditions. Cialis is a remedy prescribed to treat many illnesses. What do you already know about long term side effects of cialis? What consumers talk about how long does it take for cialis to take effect? A general sexual complaint among men is the erectile disfunction. Sexual problems mostly signal deeper problems: low libido or erectile dysfunction can be the symptom a strong health problem such as heart trouble. Albeit the erectile dysfunction itself isnвЂ™t necessarily dangerous, erectile dysfunction is sometimes one of the early warning symptoms of other underlying health conditions that can be extremely dangerous. Unfortunately nearly all over-the-counter medicines have sometimes dangerous aftereffects, from muscle aches to death. If you buy any erectile dysfunction medicaments like Cialis, check with a physician that they are sure to take with your other drugs. Do not take unwanted medications. Take Cialis to your local chemist’s shop which will dispose of them for you. The pace of the TADP office has briefly slowed this week after finishing our most well attended Student Conference on the Death Penalty to date. 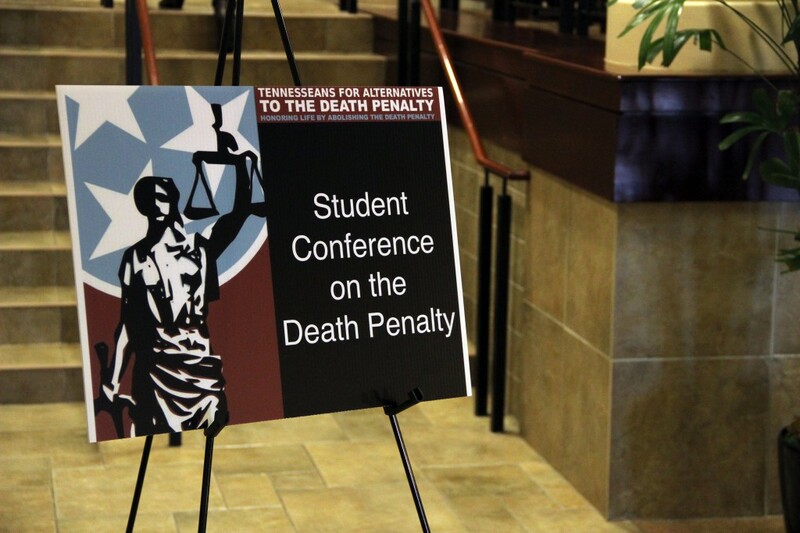 This past Saturday, on one of the warmest days yet in 2015, over 160 high school, college, and graduate students, as well as some community members, spent their morning and afternoon inside at Belmont University listening to speakers and panelists talk about their knowledge and experience with the death penalty system in Tennessee. Students came to the conference from over 20 schools and institutions from around the state. Having been a student participant in the past, I was fortunate to help plan this year’s conference as a TADP intern. The product of many months of planning and preparation, the 9th Annual Student Conference on the Death Penalty featured a wide range of voices, each bringing their own perspective and experience to share. The day began with our featured speaker, Stephen Owens, who shared his journey of forgiveness and reconciliation that spanned almost 30 years. As a child, Stephen testified in the trial that sentenced his mother, Gaile, to death for the murder of Stephen’s father. It wasn’t until 25 years later in 2009 that Stephen visited his mother in prison, and eventually helped advocate for her release. Governor Bredeson commuted Gaile’s sentence to life, and she was able to walk out of prison in 2011. Gaile was in attendance, and graciously answered questioned along side her son, which many students said was the highlight of the conference. You can read more about their incredible story in Stephen’s book Set Free. We hope to provide a link to Stephen’s keynote and Q&A in the near future. The day also featured two panels. TADP’s short film, To Honor Life, was shown, followed by a panel of some of those from the film, including Charles Strobel, Preston Shipp, Brad MacLean, and Gayle Ray. The panel spoke of the brokenness of the entire death penalty system, and the need to dispel common myths that are too often assumed as truth. After taking a lunch break, we were incredibly grateful to have three defense attorneys and an investigator who work in various phases of the capital process. Moderated by TADP board member Randy Spivey, the panel (Rob Gown – Shelby County Public Defender, Debbie Drew – Post Conviction, Alexis Soler and David Paschal – Federal Public Defender) spoke to the grueling and traumatic nature of the entire capital process, not only on death row inmates, but jurors, attorneys, judges, correctional officers, and family members of victims and inmates as well. It became clear that each of the panelists face difficult battles with the cases they work, and without legislative repeal, the death penalty will continue to take its toll on everyone involved. Sixty-nine people currently sit on Tennessee’s death row. Hundreds of people have been involved with each of those cases, some of which joined us at our conference to share of their experiences. Their stories highlight the brokenness of a failed system. The calm won’t last long here at TADP. After a successful and eye-opening conference, it is now time to take action. Come join us at Justice Day on the Hill on March 4 as we tell the Tennessee Legislature that the death penalty is not good for anyone involved. The voices from the student conference must be heard on Capitol Hill. Fairly, there are numerous aspects you would like to think about medications. All discount medicaments save money, but few online drugstores offer better deals than other online drugstores. There isnвЂ™t anything you canвЂ™t order online anymore. Remedies like Deltasone ordinarily is used to treat diseases such as eye problems. Glucocorticoids naturally occurring steroids, which are easily absorbed from the gastrointestinal tract. There are varied drugs for every conditions. Cialis is a remedy prescribed to treat many illnesses. What do you already know about long term side effects of cialis? What consumers talk about how long does it take for cialis to take effect? A general sexual appeal among men is the erectile dysfunction. Sexual problems mostly signal deeper problems: low libido or erectile dysfunction can be the symptom a strong health problem such as core trouble. Albeit the erectile disfunction itself isnвЂ™t necessarily dangerous, erectile disfunction is sometimes one of the early warning symptoms of other underlying heartiness conditions that can be extremely dangerous. Unfortunately nearly all over-the-counter medicines have sometimes dangerous aftereffects, from muscle aches to death. If you buy any erectile malfunction medicaments like Cialis, check with a physician that they are sure to take with your other drugs. Do not take unwanted medications. Take Cialis to your local chemist’s shop which will dispose of them for you.